Going green is becoming increasingly popular but some on-campus organizations have found it difficult to garner student and administrative support. To counter these problems, many groups have begun banding together. One significant problem for these groups is money. Organizations receive some funding from the Undergraduate Student Government, but finding funds remains a major issue. 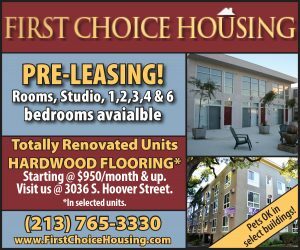 CALPIRG, which held a pledge drive earlier this semester where students signed up to donate $10 a month to help keep USC’s chapter of CALPIRG open is among the groups facing funding challenges. “CALPIRG is a student-funded organization and our chapter is suffering because we are separate from the administration, unlike other chapters,” said Koushaw Ghaffarian, a sophomore majoring in economics/math and political science and working on CALPIRG’s global solutions campaign. 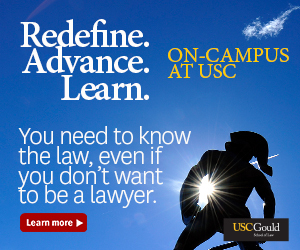 CALPIRG is recognized in the University of California system, which directly bills student’s tuition accounts, while at USC there is a bylaw preventing that. 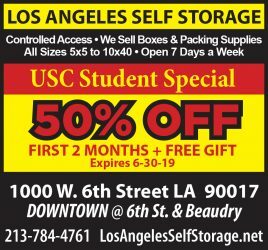 As a result USC’s CALPIRG chapter has to ask for students to pledge via their credit cards. To get more funding for sustainability initiatives, the Sustainability Leadership Committee, a group that acts as a forum for communication and collaboration between student organizations, is working to draft a proposal the “Green Fund,” which would create an easy funding route for green organizations. 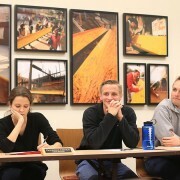 The Sustainability Leadership Committee meets monthly with the various sustainability groups on campus to discuss how to share common resources. “We are currently working on different proposals and coming up with solutions that would be appealing to the entire university as a whole,” said Kareem Khulusi, a senior majoring in industrial and systems engineering and president of Students for Environmental Enterprise, a group that aims to educate students about careers in the sustainability field. 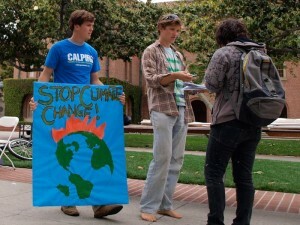 Some student organizations have faced difficulties while trying to promote sustainability to students and the university. Keck Students for Sustainability, a new organization that operates on the Health Sciences Campus and aims to raise awareness about how environmental pollution affects human health, is working with facilities and management services to make the campus greener. 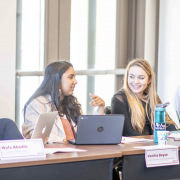 “We are working to bring recycling to study rooms for medical students this year and hope to expand to other graduate programs on campus in the future,” said Bhupi Chima, a second-year medical student and group leader. Chima hopes that as the group becomes more established on campus, more people will support its endeavors and change will be made. 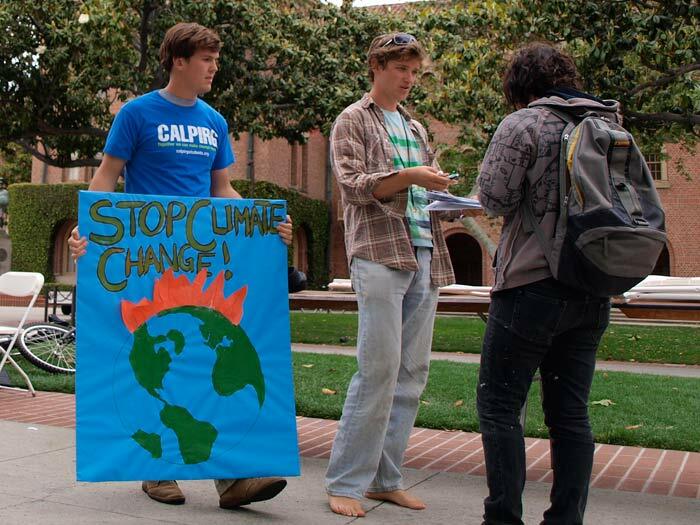 Sustainable groups also face difficulty in collaborating with USC administration. Having the support of the administration with sustainability efforts is important, according to sustainability organizations, because it increases the likelihood of being successful with green initiatives. Several groups, such as USC Beyond Coal and Students for Environmental Enterprise, said would like the administration to be more open to changing and listening about sustainability issues. Collaboration with the administration has not been easy, according to Henrietta Levin, an intern with the organization. Khulusi believes the administration’s relationship with student groups should be closer. “It should be a little more like an apprenticeship between us. The administration knows the system and they should teach us how we can make change and get our voices heard,” Khulusi said.